When choosing which online casino to join there’s plenty of information on this website and elsewhere which should help you pick the one which suits you best. Factors you will take into account initially will focus on what the casino can offer in terms of games (and slots in our case) and what sort of bonuses the casino offers to tempt you to sign up. Now you’ve made your choice you need to deposit some money into the new casino and this is the point at which you need to make another choice; online casinos offer a number of methods to make this a straight forward task and in this article we’re going to explain what a bank transfer is and how it works, it’s advantages and disadvantages. A bank transfer is one of the least used ways to deposit money to your casino of choice and there are some good reasons for that; however it also has some advantages which hold some appeal for a section of users. 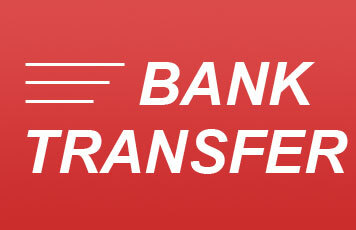 A bank transfer is regarded as a real ‘nuts and bolts’ way to move money around with no risk whatsoever. It’s a long-established and ultra-reliable way to move money from one place to another and the perception of 100% safety is what makes it appeal to some customers. In certain countries or jurisdictions such as the UK it’s also costs nothing to transfer money within the same area. For those cautious gamblers, unless you have an overdraft facility, you won’t be able to spend more than you own. So what are the disadvantages then? Well really they apply to international bank transfers and it’s when moving money overseas that the process can get time-consuming and costly. If you need to move money to another country you can forget about playing instantly or even the same day – the process can take days before the money is available. There will also often be a cost to transferring money which makes it uneconomical for smaller amounts. Generally, within a country or within areas such as the eurozone, transfers cost nothing but most other international transfers can cost significant amounts. Always check with your bank first.